Welcome to Music Friday when we bring you fun throwback songs with jewelry, gemstones or precious metals in the lyrics or title. Today, we step into our time machine and dial in May 10, 1970, the day The Jackson 5 performed “The Love You Save” on The Ed Sullivan Show. In the song, a 12-year-old Michael Jackson is tormented by a girlfriend who can’t seem to shake her cheating ways. When they were little kids, she was always chasing after the boys. Now that she’s older, Michael's promise ring is not enough to keep her faithful. According to Songfacts.com, the original lyrics of "The Love You Save" concerned traffic safety. The writing team of Deke Richards, Freddie Perren, Alphonso Mizell and Berry Gordy Jr. (also known as "The Corporation") altered the safety song to fit the style of The Jackson 5. In the end, Songfacts.com reported, the only elements of the original to survive were the title and the line "Darling, look both ways before you cross me." 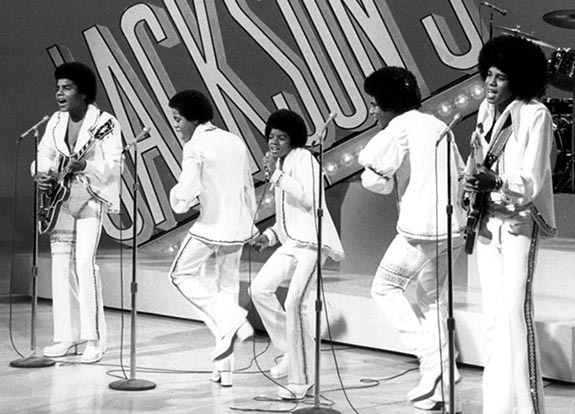 The founding members of The Jackson Five included brothers Jackie, Tito, Jermaine, Marlon and Michael. During a successful run from 1964 to 1990, the group (later to be called The Jacksons) amassed international legions of screaming fans and sold more than 100 million records, making them one of the most successful groups of all time. Fun trivia: About halfway through the song, Michael calls out four rivals by name: "Isaac said he kissed you, beneath the apple tree / When Benjii held your hand he felt electricity / When Alexander called you, he said he rang your chimes / Christopher discovered you’re way ahead of your time." A closer look at the lyrics reveals that he's actually referencing Isaac Newton, Benjamin Franklin, Alexander Graham Bell and Christopher Columbus. They’ll turn your name to dirt, oh.